1. Fraudulent real estate deals. In a 1998 real-estate deal engineered by Jay Brown (a former casino lawyer and a longtime friend of Reid), the senator purchased two undeveloped residential-property lots on Las Vegas’s rapidly growing outskirts for approximately $400,000. Reid bought one of the parcels on his own, and the second one jointly with Brown. One of the sellers was a developer who was benefiting from a government land swap supported by Reid. In 2001 Reid sold both of his lots for $400,000 to a limited liability corporation created by Jay Brown, but he never disclosed the sale on his annual public ethics report. Nor did he inform Congress that he held any stake in Brown’s company. As far as Congress knew, Reid was still the owner of the two lots he had purchased three years earlier. In 2004 Brown’s company, having negotiated with local officials to rezone the property for a shopping center, sold the land to other developers, and Reid personally took $1.1 million of the proceeds—a $700,000 profit on his initial investment. Reid falsely reported the transaction to Congress as a personal land sale. When questioned about the deal during a telephone interview with the Associated Press in October 2006, Reid hung up the phone. 2. Co-Mingling personal and political funds. In 2001 Reid paid cash for a $750,000 condominium at the Washington, DC Ritz-Carlton where he currently resides. When he subsequently (in 2002, 2004, and 2005) gave $3,300 in Christmas bonuses to the doorman and other support staff at his building, Reid, in contravention of federal election law, used money that he had acquired from campaign donations rather than his own separate funds. 3. Favors for wealthy real-estate developers. In a $286 billion federal transportation bill passed by Congress in 2005, Reid secured $300 million in earmarks for projects in his home state, including $18 million to fund the construction of a bridge spanning the Colorado River. On the Arizona side of that bridge, Reid owned 160 acres of undeveloped land (in Bullhead City, AZ) around which many new housing units were being built. The new bridge would cause the value of Reid’s property to skyrocket. Reid on several occasions has used legislation to move federal land into private hands, and private land into the public realm—invariably portraying these transactions as efforts to preserve scenic and environmentally sensitive areas while making more land available for urban growth. Such was the case with the Clark County Conservation of Public Land and Natural Resources Act of 2002—a piece of legislation introduced by Reid—which dealt with a variety of boundary shifts and land trades in Nevada. Reid assured his colleagues that the bill was a bipartisan measure that would benefit both the natural environment and the economy in Nevada. For example, the Howard Hughes Corporation alone paid $300,000 to the small, Washington-based consulting firm of Reid’s son-in-law, Steven Barringer, to promote a provision allowing Hughes to acquire 998 acres of highly valuable federal land situated in the rapidly growing Las Vegas metropolitan area. In federal lobbyist reports, Barringer is listed as one of Hughes’s representatives on the measure that Reid introduced. Other provisions of the 2002 bill were intended to benefit (to the tune of several million dollars) a real-estate development headed by Harvey Whittemore, a senior partner in the Nevada law firm that employed all four of Reid’s sons. Specifically, Reid intervened to gain monumental government concessions on behalf of Whittemore, who wished to build thousands of homes and numerous golf courses on 43,000 acres of barren land in an area called Coyote Springs, an hour northeast of Las Vegas. This land had a number of federal restrictions on its use: Most notably, one-fourth of it was off-limits to developers because of federal protections for an “endangered” species of desert tortoise that dwelt there; another one-fourth (about 10,500 acres) was government-owned and was subject to a federal power-line right of way; and the Coyote Springs territory as a whole was rife with streams and washes that the Environmental Protection Agency (EPA) had designated as crucial to the health of the desert’s ecosystem, and was therefore generally off-limits to construction. At first, it seemed that these maneuvers by Reid would free Whittemore to build on the coveted 10,500-acre parcel previously held by Congress. But the Bureau of Land Management and the Senate’s Energy and Natural Resources Committee balked at the deal, and Reid backed away temporarily. Less than two years later, Reid tried allow Whittemore to purchase the Coyote Springs for $160,000—far below market value—but Congress again objected. Finally, Reid negotiated an alternate arrangement where Whittemore was permitted to purchase the land at a fair market rate while the government changed the placement of the corridor. Between 2000 and 2006, Whittemore, his wife, and the Coyote Springs company gave Reid’s senatorial campaign and political action committees at least $45,000. According to the Los Angeles Times: “That included $35,000 for Reid’s leadership PAC, the Searchlight Leadership Fund, which helped him advance as a Senate leader. Most of that money was contributed in 2002 shortly after Reid introduced the Clark County land bill.” In addition, Whittemore gave $5,000 apiece to two of Reid’s sons, to finance their efforts to win local seats on the Henderson City Council and the Clark County Board of Commissioners, respectively. The developer also hired one of those sons as his personal lawyer to represent him in his dealings with federal officials. Also profiting from the arrangement negotiated by Reid, which freed up tens of thousands of federal acres for development and annexation, were the governments of three large Nevada cities—Las Vegas, North Las Vegas, and Henderson. All three were represented by Reid’s family members—including his youngest son—who contacted the senator’s staff on behalf of their clients. 4. Influence-peddling in exchange for cash. Between 2001 and 2004, Reid, in apparent violation of Senate ethics provisions, wrote at least four letters pressing the Bush administration to take action on certain issues of importance to Indian tribes that were clients of the notoriously corrupt lobbyist Jack Abramoff, who lobbied on behalf of tribes involved in the gambling casino industry. CBS News reports that “starting in the mid-1990s, he [Abramoff] became a master at showering gifts on lawmakers in return for their votes on legislation and tax breaks favorable to his clients.” Eventually Abramoff was convicted in federal court of corrupting public officials, tax evasion, and fraud, and he served three-and-a-half years in prison. While Abramoff never directly donated to Reid, the lobbyist did instruct one tribe, the Coushattas, to send $5,000 to Reid’s tax-exempt political group, the Searchlight Leadership Fund, in 2002. About the same time, Reid sent a letter to the Interior Department helpful to the tribe, records show. Following a pattern seen with Abramoff and Republicans, Abramoff’s Democratic team members often delivered donations to Reid close to key events. Reid himself, along with his Senate counsel Jim Ryan, met with Abramoff deputy Ronald Platt on June 5, 2001, “to discuss timing on [a] minimum wage bill” that affected the Marianas, according to a bill that Greenberg Traurig, Abramoff’s firm, sent the Marianas. Three weeks before the meeting, Greenberg Traurig’s political action committee donated $1,000 to Reid’s Senate re-election committee. Three weeks after the meeting, Platt himself donated $1,000 to Reid…. The Marianas, U.S. territorial islands in the Pacific Ocean, were one of Abramoff’s highest-paying clients and were trying to keep their textile industry exempt from most U.S. laws on immigration, labor and pay, including the minimum wage. Many Democrats have long accused the islands of running garment sweatshops. The islands in 2001 had their own minimum wage of $3.05 an hour, and were exempt from the U.S. minimum of $5.15. Republicans were intent on protecting the Marianas’ exemption. Democrats, led by Sen. Edward Kennedy of Massachusetts and Rep. George Miller of California, wanted the Marianas to be covered by the U.S. minimum and crafted a compromise. In February 2001, Kennedy introduced a bill that would have raised the U.S. hourly minimum to $6.65 and would have covered the Marianas…. Within a month, Platt began billing for routine contacts and meetings with Reid’s staff, starting with a March 26, 2001 contact with Reid chief of staff Susan McCue to “discuss timing and status of minimum wage legislation,” the billing records say. In all, Platt and a fellow lobbyist reported 21 contacts in 2001 with Reid’s office, mostly with McCue and Ryan. One of the Marianas contacts, listed for May 30, 2001, was with Edward Ayoob, Reid’s legislative counsel. Within a year, Ayoob had left Reid’s office to work for Abramoff’s firm, registering specifically to lobby for the islands as well as several tribes…. On March 5, 2002, [Reid] sent a letter to the Interior Department pressing the agency to reject a proposed casino by the Jena band of Choctaw Indians in Louisiana…. The Jena’s proposed casino would have rivaled one already in operation in Louisiana run by the Coushattas, and Abramoff was lobbying to block the Jena. The day after Reid’s letter, the Coushattas wrote a $5,000 check to Reid’s Searchlight group at Abramoff’s suggestion…. On Nov. 8, 2002, [Reid] signed a letter with California Democratic Sen. Dianne Feinstein urging Interior Secretary Gale Norton to reject a proposal by the Cuyapaipe Band of Mission Indians to convert land for a health clinic into a casino in southern California. The casino would have competed with the Palm Springs gambling establishment run by the Agua Caliente, one of Abramoff’s tribes. Two weeks later, Reid went to the Senate floor to oppose fellow Democratic Sen. Debbie Stabenow’s effort to win congressional approval for a Michigan casino for the Bay Mills Indians, which would have rivaled one already operating by the Saginaw Chippewa represented by Abramoff. “The legislation is fundamentally flawed,” Reid argued, successfully leading the opposition to Stabenow’s proposal. The next month, Reid joined six other Democratic senators in asking President Bush in mid-December 2002 to spend an additional $30 million for Indian school construction. Several Abramoff tribes, including the Saginaw and the Mississippi Choctaw, were seeking federal money for school building. Six weeks after that letter, three Abramoff partners—including Platt and Ayoob—donated a total of $4,000 to Reid’s Senate re-election campaign. Later in 2003, the Agua Caliente contributed $13,500 to Reid’s political groups while the Saginaw chipped in $9,000. Reid sent a fourth letter on April 30, 2003, joining Ensign a second time to urge Interior to reject the Jena casino. Two months later, Abramoff’s firm threw a fundraiser for Reid at its Washington office that netted the Nevada senator several more donations from Greenberg Traurig lobbyists and their spouses. Ayoob was instrumental in staging the event, Reid’s office said. Reid also sponsored a bill to give $100,000 to another tribe represented by Abramoff, because, said the senator, Louisiana lawmakers had sent him a letter requesting it. The Senate ethics manual warns against “accepting any gift where it appears that the gift is motivated by a desire to reward, influence, or elicit favorable action.” Reid’s explanation, as the Washington Post paraphrased it, was that he was “simply trying to learn how his legislation might affect an important home state industry.” “Anyone from Nevada would say, ‘I’m glad he is there taking care of the state’s number one businesses,’” Reid said. 7. Promoting “Green Energy” to enrich his family. 8. Quashing a federal investigation in exchange for money. Johnson, who had been under the impression that his $250,000 down-payment was to have served as insurance against such a lawsuit, demanded that Swallow return some of that money to him. Johnson also said he was unsure if any of the money he had paid in the deal actually reached anyone connected to Senator Reid. To back his allegations, Johnson provided an email from Swallow that Johnson identified as key in supporting his claims. Johnson also granted access to at least several dozen other emails, two financial records, several photos, and a transcript of about 60 pages of a secretly recorded April 2012 meeting Johnson had with Swallow…. The documents appear to support Johnson’s story that in 2010 Swallow brokered a deal between Johnson and Richard M. Rawle, owner of the Provo-based payday-loan company Check City, to enlist Rawle to use his influence to get Reid involved on behalf of Johnson and I Works…. Johnson said Swallow suggested Reid could make problems with regulators go away — for a price. 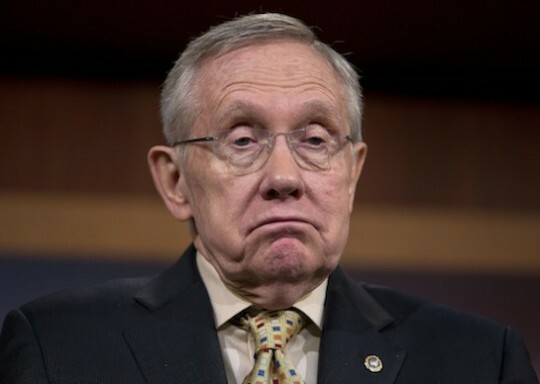 He said Swallow at first wanted $2 million to enlist Reid’s help. But I Works was no longer profitable and he did not have the money, Johnson said, so they eventually agreed on $300,000 upfront and $300,000 later. Swallow put Johnson in contact with Rawle, whose company has operations in Nevada. Rawle … had contributed to Reid’s 2010 re-election bid and later bragged to Johnson that the Nevada Democrat helped him delay new federal payday-loan regulations, Johnson said. They arranged an Oct. 9 meeting at Check City’s Provo headquarters. Johnson said he, Swallow and Rawle attended, along with at least two other people. Five days later, on Oct. 14, Rawle registered a new company called RMR Consulting LLC with the state, Department of Commerce records show. On Nov. 2, an official with a Check City-related company called Softwise Inc. emailed Johnson, with a copy to Rawle: “We wanted to let you know that we have our people in Washington D.C. currently working with the FTC on your case. Also, the initial retainer of $50,000 can now be wired to RMR Consulting, LLC.” The writer provided an account number at Bonneville Bank. A copy of I Works’ general ledger that same day shows $50,000 was paid to RMR Consulting for “legal fees.” Another $200,015 was paid Dec. 2. But less than three weeks later, on Dec. 21, 2010, the FTC filed a lawsuit against Johnson, I Works and others in federal court in Las Vegas. The suit alleges illegal marketing and billing practices for online sales of kits and access to websites with information about such things as obtaining government grants for personal expenses and making money online. It also alleges Johnson created a number of shell companies whose connections to I Works were hidden so they could continue to bill customers after Visa and MasterCard threatened to cut him off because a large number of cardholders had reversed charges. Johnson said he called Swallow and asked him why the lawsuit was filed after he had paid for it to go away. According to Johnson, Swallow told him it was because Johnson hadn’t paid the second $300,000 they had agreed on and that Reid believed he had the money…. Because the money he paid had done nothing for him and I Works, Johnson began a months-long effort to pressure Swallow and Rawle into returning at least some of the money, which Johnson had borrowed from a friend who also was an I Works executive. In June 2011, Johnson was charged with a single criminal count of mail fraud and was arrested at the Phoenix airport while waiting to board a plane for Costa Rica, where he hoped to start a helicopter tourism business after I Works had been taken over by a court-appointed receiver and his assets were frozen. Johnson spent 96 days in jail until federal prosecutors relented and a judge granted bail of $2.8 million…. Just after Johnson’s release, and with Swallow a candidate for attorney general, Johnson said Swallow and his campaign consultant, Jason Powers, met him at a St. George hotel, where Johnson said he again pressured Swallow to come up with the money. 9. Reid’s donor & lobbyist friend goes to prison. In September 2013, Harry Reid’s close friend and donor, the powerful multimillionaire lobbyist Harvey Whittemore—whom Reid assisted in the aforementioned Coyote Springs matter—was sentenced to two years in prison for having funneled more than $130,000 in illegal campaign funds to Senator Reid’s re-election committee in 2007. Convicted of three felonies, Whittemore was also fined $100,000 and ordered to perform 100 hours of community service. 10. Expediting Visa applications for foreign investors. In January 2014, the nonpartisan government-accountability organization Cause of Action filed an ethics complaint accusing Reid of violating the Senate’s Code of Official Conduct by using his influence to help the politically connected, Las Vegas-based SLS Hotel & Casino—where the senator’s son, Rory Reid, and his law firm were legal counsel—get visas for approximately two-dozen Asian investors who were willing to help the hotel fund a major renovation project. Without the visa approvals, the investors would not be permitted to bring their money into the U.S.
11. Purchasing expensive gifts with campaign money. In March 2014, it was reported that during the previous two years Reid’s political organization had paid Ryan Elisabeth Reid—the senator’s 23-year-old granddaughter who ran a jewelry and gift business—more than $31,000 ($14,481 in 2012 and $16,786 in 2013) for “holiday gifts” to be given to supporters and staff. This was almost 7 times more than the combined total that Reid spent on donor gifts from all other vendors. 12. Reid says horror stories about Obamacare are lies, spread by Koch brothers. On February 26, 2014, Reid addressed the many news reports that had indicated, in recent months, that because of Obamacare many people had lost their previous insurance coverage, had lost access to the doctors they wanted, were burdened by much higher premiums and deductibles than ever before, and were unable to get the medical care they needed. Said Reid: “[T]here’s plenty of horror stories being told. All of them are untrue, but they’re being told all over America.” Those lies, he charged, were “being paid for” by “two billionaire brothers” who happened to be “oil magnates” — a reference to David Koch and Charles Koch, major funders of conservative causes. Just hours later, after several Senate Republicans had mocked Reid’s assertion that criticisms of Obamacare were based on lies, Reid returned to the Senate floor to temper his earlier statement. “I can’t say that every one of the Koch brothers’ ads are a lie, but I’ll say this … the vast, vast majority of them are,” Reid declared. 13. Reid says “the border is secure”. 14. Reid’s discrimination against Asians and minorities. 15. Reid’s bodyguard attacks reporter for inquiring about his corruptions. In October 2014, conservative author Jason Mattera caught up with Reid (who was walking down a hallway in the Capitol Building with several other men) and asked the senator, “How did you become so rich working in government?” When Reid continued walking and did not reply, Mattera followed up with: “How does someone on a government salary most of their career accumulate your type of wealth?” Reid again remained silent and kept walking. Then, one of the senator’s bodyguards suddenly asked Mattera, “Are you press?” before shoving him and then pinning him against a wall. After Mattera affirmatively identified himself as a member of the press, the bodyguard retorted, “I don’t care if you’re press or not.” When Mattera asked the bodyguard what his name was, the man refused to reply. 16. Reid blocks bills to satisfy donors. This entry was posted on at and is filed under corruption. You can follow any responses to this entry through the RSS 2.0 feed. You can leave a response, or trackback from your own site.